We spend our lives moving through passages, hallways, corridors and gangways, yet they do not feature in architectural histories, monographs or guidebooks. They are overlooked, undervalued and unregarded; seen as unlovely parts of a building’s infrastructure rather than ‘architecture’. 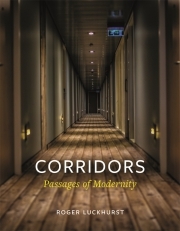 This book is the first definitive history of the corridor, from its origins in country houses and utopian communities in the seventeenth and eighteenth centuries, through reformist Victorian prisons, hospitals and asylums, to the ‘corridors of power’, bureaucratic labyrinths, and housing estates of the twentieth century. 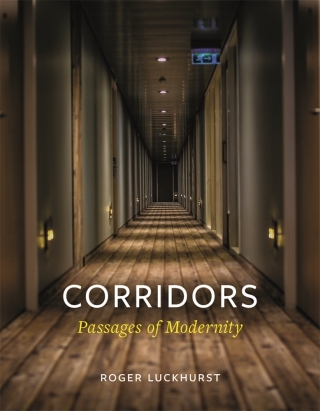 The book takes in wide range of sources, from architectural history to fiction, film and TV, to explore how the corridor went from a utopian ideal to a place of unease: the archetypal stuff of nightmares. Roger Luckhurst lives in a post-war utopian social housing estate in inner London and teaches at Birkbeck College, where he is Professor of Modern Literature in the School of Arts. He is the author of Zombies (Reaktion, 2015), and wrote the BFI Classics on Alien and The Shining.